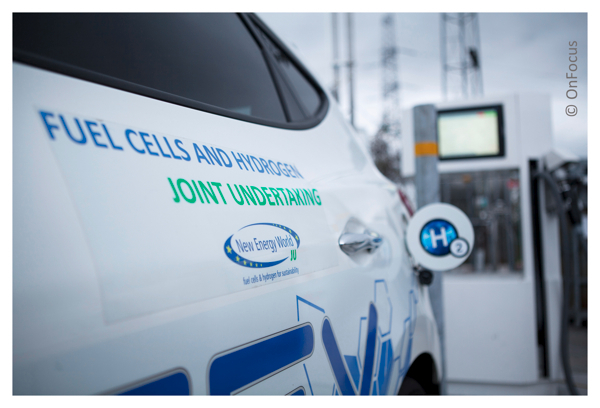 The Fuel Cells and Hydrogen Joint Undertaking (FCHJU) is a European public private partnership supporting research, technological development and demonstration (RTD) activities for fuel cell and hydrogen energy technologies in Europe. FCHJU was launched in 2008 as a public-private partnership between the European Commission, European industry and research organisations. It is the first illustrative example of a public-private partnership instrument under the European Strategic Energy Technology Plan (SET-Plan). FCHJU supports through grants, the full innovation cycle from basic research, technological development and demonstration up to market, with the aim of speeding up the commercialising phase of fuel cell and hydrogen technologies in Europe. The European Council is currently examining a legislative proposal for prolonging the FCHJU with a budget of 1.4 billion euro until 2020. It is proposed that half of this budget is allocated to hydrogen and fuel cells in the transport sector. The FCHJU is convinced that the UK H2Mobility initiative and similar programs launched in European countries are the right way to realise a new clean transport system. Investing in UK H2Mobility can enable Europe to become the industrial leader in both fuel cell cars and hydrogen production. This will allow creating new jobs, improving trade balance and reducing the environment impact from transport.